Sean has a proven record of delivering profitable growth from initial strategy formulation, team building and recruitment, to successful launch, implementation, and sustaining operations. 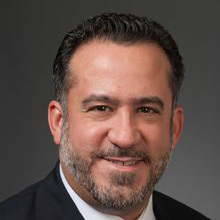 Sean is a Partner based in the Boston office and a member of the TIME (Telecommunications, Internet, Media, and Electronics) and Private Equity Practices of ADL. Sean has extensive experience in investment due diligence/M&A in the communications industry, broad wireless experience in market entry and spectrum auctions, and a broad range of cable/MSO/fiber business services markets. Sean has over 25 years of experience in consulting and operating roles. Most recently he was Vice President at Cartesian, Inc., where he was responsible for their North American Strategy and Management Consulting operations. Previously he was a VP/Partner in the group’s strategy consulting arm, Cambridge Strategic Management Group (CSMG), during two stints – from 1996-2002 and again in 2010-2013. From 2002 through 2010, Sean held several operating roles, primarily within kgb (formerly InfoNXX) - serving as Président Directeur Général of 118218 Le Numéro France, which he directed from greenfield entrant to #1 position in the French directory enquiries market. He also served as Chief Operating Officer of 118//Media, the lead generation business of the UK’s leading directory provider, 118118, and as SVP in charge of EU Expansion. Sean earned his BA in Classics and Business Economics from Brown University in Providence, RI, US, and his MBA from the Kellogg School of Management at Northwestern University, Evanston, IL, US. Sean lives just outside of Boston with his wife and three children, and remains active in ice hockey as a player, coach, and referee.